The “Black Lives Matter” movement has brought new light to the problem of racism in this country, and now that movement has a new tool - an animated map that shows membership in the Ku Klux Klan was far more widespread than historians suggested. Sandy Housman reports on a new map showing how widespread the KKK was. 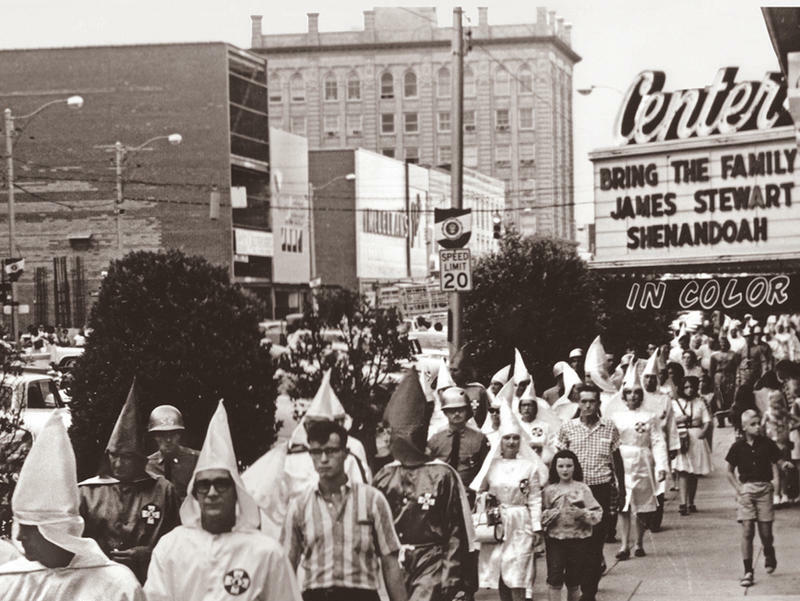 As chairman of the history department at Virginia Commonwealth University, John Kneebone has studied the Klan - tracking its growth between 1915 and 1940. He produced a list of chapters 60 pages long and concluded the KKK was far more main stream than most people think. Web developer Shariq Torres pitched in, creating an animated map on which red spots representing Klan chapters appear over time - spreading, like a disease, across the nation. The first chapter was not in the Deep South but in Michigan, and Kneebone says there were many chapters in Texas, Oklahoma, Indiana, Illinois and Ohio. All total, he says, there were at least 2,000 chapters with a membership of 2-3 million people. The organization was officially shut down by the IRS in the 1940’s for failure to pay taxes, but it enjoyed one more period of resurgence during the Civil Rights Movement. This interview was originally broadcast on Feb. 14, 2013.